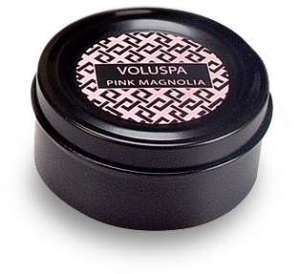 Basic Black Collection Voluspa Travel Candle Tin - Pink Magnolia. 4 Oz., 45 Hr. burn time. 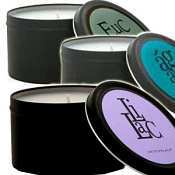 I took this candle with me for a business trip. It was very stressful day for me and my hotel room smelled moldy. 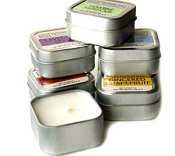 After one hour I lit this candle, the smell in my room got better and I could relax very much!